Follow the signs when you leave the underground station. 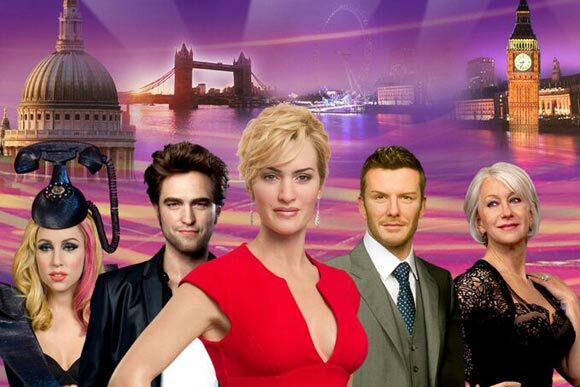 It`s less than a 5 minute walk to Madame Tussauds. Opening hours: Open Daily 9.30am to 5.30pm	Closures: 25th December	Modified Opening hours: 24th December 9am to last admission 2.30pm, 26th December 10.30am to last admission at 6pm. Pick up point: Please take your voucher/confirmation to door 2 for priority entrance along with photo ID for entrance to Madame Tussaud`s. The world famous Madame Tussauds has changed a lot in its 200 year history and is now the premier site for stunningly accurate recreations of the famous and infamous. Whilst retaining many of its historical figures there is also a greater emphasis on celebrities and popular contemporary figures. Visitors can explore waxworks of a range of entertainers from the world of film, music and sport as well as the British monarchy, famous world leaders and of course the legendary chamber of horrors with its grizzly cast of original death masks which date back to the French Revolution. With each portrait taking up to six months to create and costing tens of thousands of pounds, you could easily mistake the figures for real people. So if you fancy taking a selfie with Beyonce or just getting up close to Albert Einstein, Madame Tussauds is an attraction not to be missed. With its overwhelming popularity booking a priority entrance ticket can save a lot of time queuing up and allow more time to explore the many different exhibitions. The founder, Marie Tussaud, learnt her trade from her mother's employer and created her first sculpture of the famous philosopher Francois Voltaire at the age of 16, during the French revolution Marie was imprisoned and created death masks of the executed nobles. After travelling to England, a permanent exhibition was set up as the Baker Street Bazaar in 1835 and then moved to its current location in 1884. In its 200 year history Madame Tussauds has welcomed over 200 million visitors and now has locations in many major cities. All of the figures regularly have their hair washed and dried and make up retouched. All of the figures are created 2 percent larger than the original to allow for the wax to shrink. One of the few people to refuse a portrait at Madame Tussauds was Mother Theresa. Madame Tussauds - Priority Entrance Rating: 88% out of 100 based on 5 reviews.